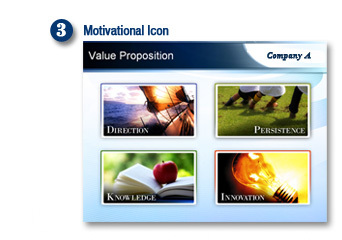 Motivate your audience with 20 animated editable PowerPoint Slides and backgrounds. 3 ways to use PowerQUOTES into your presentation. Flexible! 3 ways to use PowerQUOTES in your presentation. White and Black backgrounds available for easier blending into PowerPoint. Powerful quotes are paired with each high res image. Compatible with applications such as Google Docs, Keynote, Open Office, etc. 3 ways to use PowerQUOTES into your presentation! PowerQUOTES: 20 Motivational slides for Microsoft PowerPoint. them onto your template of choice, maintaining consistency and all set animations. presentation and scale as desired. Want to use PowerQuotes outside of PowerPoint? No Problem! PowerQuotes can be applied to many other presentation programs beyond Microsoft Office PowerPoint. They are downloadable as .PPTX PowerPoint slides but many applications such as Google Docs, Keynote, Open Office, Kingsoft Presentations and Zoho Show will read and import the slides.